Will Make Beats For Food : The Corner Radio Hosted by Kil: Who's Hip Hop's Dopest Duos? 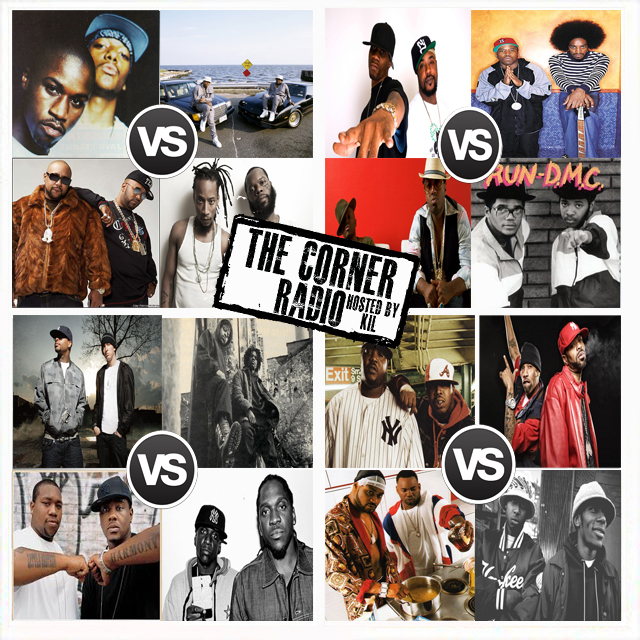 The Corner Radio Hosted by Kil: Who's Hip Hop's Dopest Duos? For this week's episode of my podcast The Corner Radio, me and my team (D, Jas, Vegas & Nick) are ranking our top 5 dopest duos in hip hop. Now, the way we're defining duos are 2 MC's that rhyme in a crew, even if they have a DJ. So we're talking the EPMDs & Run DMCs of the world but we're also talking the Mobb Deeps, Smif n Wessuns and M.O.P.s of the world too! Plus we chop it up a 'lil about what our first impressions of this new De La album are! ANOTHER dope ep ya'll and don't forget to subscribe to our You Tube Channel!